Hitchhiking on one of Uruguayan roads, a young man has snagged a truly amazing ride – in President Jose Mujica's car. Imagine a situation: you are hitchhiking on the road. Suddenly a car stops and a couple inside tells you: “You can get a ride”. You look closer and see they are your president and his wife. 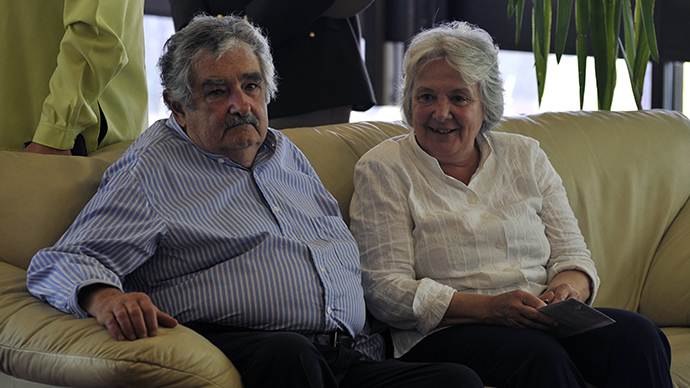 That’s what happened to one Uruguayan man when he met Jose Mujica. "On Monday, I was looking for a ride from Conchinchilla and guess who picked me up on the road?" Gerhald Acosta wrote on his Facebook post January 7. The man told Uruguayan El Observador newspaper on Friday that he was hurrying home to the city of Juan Lacaz, in southwestern Uruguay, from the Montes del Plata paper mill where he works. He had been walking “for a while and around 25 to 30 cars passed by and nobody stopped.” Then he saw “an SUV [sport utility vehicle] with government license tags and a car following it”. The van stopped and the hitchhiker saw an elderly man and woman who asked him “what had happened that he needed to ask for a ride.” The couple was none other than President Jose Mujica and his wife, Lucia Topolansky, who were en route to the presidential country residence of Anchorena. The hitchhiker explained that he hadn't been able to get to work, as his credentials had expired and he had to return home unexpectedly. Mujica said he could get a ride, said the happy passenger of the presidential car, adding that he recognized Uruguay’s First Lady when he climbed inside. During the short ride, Acosta managed to make a photo of the presidential couple. “When I got out, I thanked them profusely, because not everyone helps someone out on the road, and much less a president,” he said. The ride made Acosta a local superstar in his town, since the photos of Mujica and Topolansky were published by El Observador. Mujica is widely seen as one of the world’s most down-to-earth leaders, who has often emphasized the need for people to love each other and not focus on material things. "A president is a high-level official who is elected to carry out a function. He is not a king, not a god. He is not the witch doctor of a tribe who knows everything. He is a civil servant. I think the ideal way of living is to live like the vast majority of people whom we attempt to serve and represent," he once told Al Jazeera. The former guerrilla lives on a run-down farm, which is under his wife’s name. The only other prized possession of real material value he reportedly owns is the 1987 Beetle. 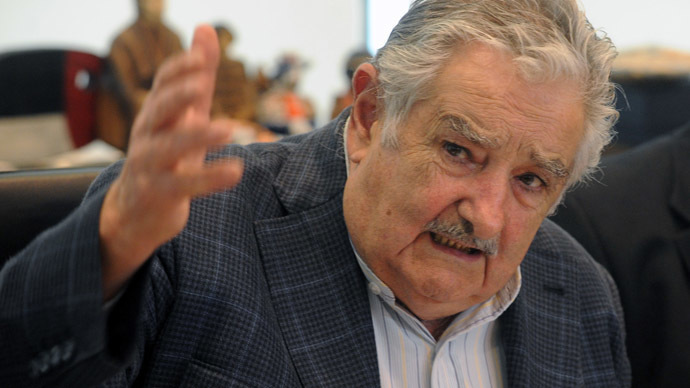 As far as official declarations of wealth go, Mujica earns a comfortable $11,000 a month, 20 percent of which goes to his political movement. He reportedly donates most of the rest of his salary to charities supporting the poor. Mujica led a radical overhaul of drug policies on cannabis possession, setting a blueprint for other Latin American countries. The legalization of cannabis enabled Uruguayan authorities to combat the neighboring Paraguayan drug trade.